Prior to joining the firm in 2005, Ron Smith served as general counsel to the Kansas Bar Association and most recently counsel for the Community Development division of the Kansas Department of Commerce. A Navy photojournalist in the Vietnam conflict, he graduated from Kansas Wesleyan in 1973 and Washburn Law School in 1976. After law school he practiced in Great Bend, Kansas, then served as Deputy Secretary of Administration for Governor John Carlin. From 1985 to 1999 he was general counsel of the Kansas Bar Association. While at the State Bar, he was responsible for the association's lobbying program and its ethics and professionalism programs. He is still active in professionalism activities. 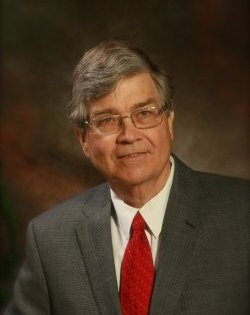 In 2012 he was President of the Southwest Kansas Bar Association, and remains on its board of directors. He has been a partner in Smith & Burnett, LLC since 2008. He is a past president of the Larned Rotary Club and a current member of the Western Writers Association of America. In October 2008, the University of Missouri Press published Smith's biography of Thomas Ewing Jr., a noted lawyer, judge, Free State advocate and general in the Union Army during Bleeding Kansas and the civil war. He has lectured widely throughout Kansas and Missouri on this topic. To learn more about his writing endeavors, please visit ronsmithbooks.com. His practice is mostly estates, corporate, real estate, probate, elder law and municipal law. He is city attorney for Larned, Kansas and several other smaller towns.